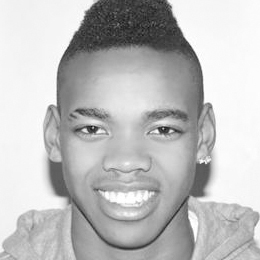 Joivan Wade, Actor/Writer/Director, has recently graduated from The BRIT School For Performing Arts And Technology where he attained a Triple Distinction in his BTEC in Performing Arts (Acting). Also received training via The National youth theatre and D n B Theatre School. . Joivan was picked out of thousands of individuals to take part in the “Ensemble” as part of the ‘International Student Drama Festival’. Joivan Started his 1st professional acting work in 2010 After Doing two commercials that were aired in 2011 for E4 Music and The British Red Cross, along with Short Films Such as “Callum” and “Seasons” and some of his most recent work as a Guest playing the role of Jacob in long standing BBC Drama Casualty which aired 21st July 2012. Joivan also landed a role in the new Drama comedy “ Youngers” for E4 Playing the character of Failia In the comedy trio Mandem On The Wall.